General Dentistry | Comfort Care Family Dental P.C. Here at Comfort Care Family Dental in Naperville, IL, we are in the business of making smiles bigger and brighter through general dentistry. We can help you achieve that healthy smile you have only dared to hope for! At Comfort Care Family Dental in Naperville, IL, your comfort is our primary concern. The functionality and longevity of your restorations through general dentistry are important to us, and we want you to be completely satisfied with your experience. We love helping people, young and old alike, achieve oral health with proper tooth and gum care. It is easy to see why more people in and around the area come to us when a family member has a general dentistry need. Our experienced team of dental prosthodontists, surgeons, and dental experts are ready to help you, no matter how big or small the need may be! We offer many restorative and general dentistry services, and they all can be tailored to fit your unique and individual needs, wants, and desires. There are a number of general dentistry procedures that we can assist you with when you come to us for help with proper tooth and gum care. Even if things have gotten out of control, and damage has been done to your teeth or gums, we can help you! Come see for yourself why we are seen by many in the area as leaders when it comes to general dentistry in Naperville. Dental Fillings are used very frequently to help reverse the effect of tooth damage that have come about due to decay, infection, bacteria, and other issues that destroy the tooth or compromise its structure. Ideally, we want to detect problems early and treat them with small fillings before they spread and cause major tooth damage and tooth loss. 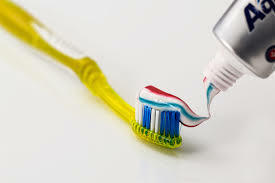 We offer both white and silver fillings. Composite fillings are the same color as a normal tooth and are virtually undetectable; they also are so popular because they are able to bond directly to the surface of the tooth. This makes them stronger, more durable, safer for the tooth itself, more affordable in many cases, and more aesthetically pleasing. When it comes to general dental practice in Naperville this is one we are seeing may patients request, which is why we believe it is so important to help people understand that value and necessity of proper tooth and gum care throughout their lives. We are proud to be leaders in general dental practice in Naperville and the surrounding area and are glad to be able to assist our patients with their dental needs. When many people are looking for ways to improve their teeth’s appearance beyond proper tooth and gum care, general cosmetic treatments are a common solution. Among these the dental bridge is a great choice for dealing with more than one or two problem teeth. Bridges are frequently used to replace a partial or missing tooth for both cosmetic and functional reasons. A bridge structure consists of one or more artificial teeth. These are firmly anchored into place by connecting them to natural teeth, using crowns, or putting in implants on each side of the bridge. Dental bridges can help restore good alignment of the teeth, keep a proper bite by keeping teeth aligned, and keep the shape of the teeth uniform so the teeth stay in place. They are also very useful in preventing teeth from shifting, which over time can lead to additional bite pressured, skewed teeth and jaw alignment, and jaw joint issues. There is no need to suffer with the pain, annoyance, and embarrassment of bad teeth any longer! Comfort Care is here to show you how you can get the most out of your dental care routine and how general dental practices in Naperville can help! We have helped many patients, young and old alike, discover the importance of proper tooth and gum care and how to take care of their teeth. We have also helped many patients in their time of need when their teeth are damaged, when they are in pain, and when they need more intensive or even cosmetic dental work done. We can help you determine the beat cosmetic dental procedures that can help you get the smile you have only dreamt of. Come and see why we are the best when it comes to all restorative dentistry needs or call us and set up your first appointment at your convenience. You have a new life and a healthier smile waiting for you!